Making hash with dry ice is the easiest, fastest, and (more importantly) the most efficient means of extracting resin from your cannabis. In short, it’s our collective opinion (all 2 of us) that Dry Ice Hash is the best means of making hash…period! Pretty big statement right? It’s even bigger when you consider how seriously people take hashish in today’s world! 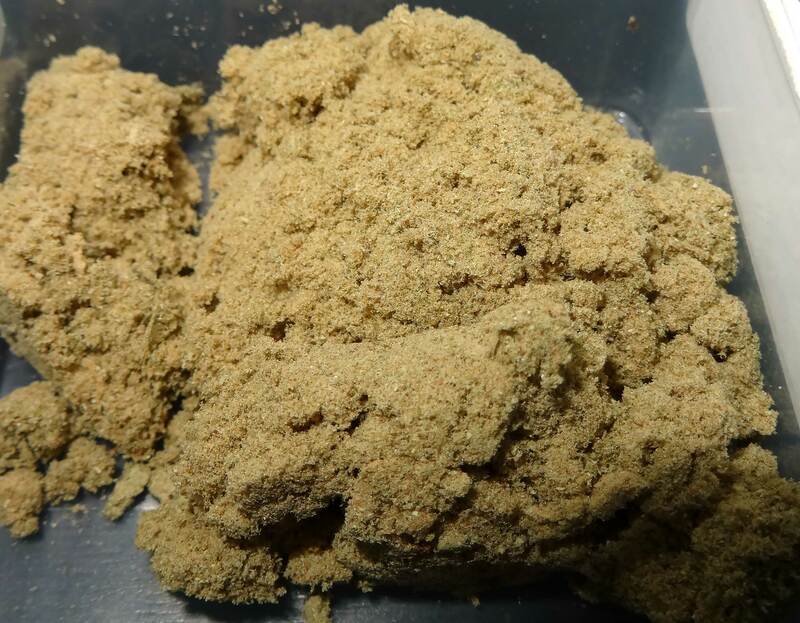 Regardless, we’ll stand by that statement, and we’re confident that by the end of this article you’ll be itching to try making some dry ice hash. And we’re even more confident that once you do try making it, you won’t go back to any other method unless someone invents ‘Resin Teleportation™’. We’ll make sure you get set up with the all the information you need, but first, let’s start things off with a picture of what we collected in under 15 minutes total! Click Here to Skip to the Video Tutorial! Keep in mind that not all hash is the same. Some types of hash are made with solvents and can still contain said solvents when finished. BHO (Butane Hash Oil) has become very popular lately, but there have also been many cases where batches still contain significant levels of butane. 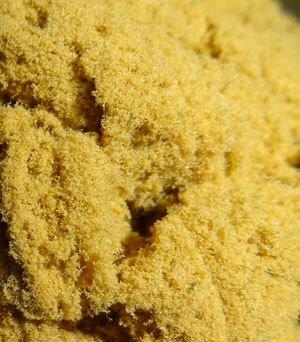 That’s not to say that BHO always contains excess butane, just that it has the possibility. When hash or hash oil is made correctly, no trace of solvents should remain in the finished product. That being said, using dry ice to extract resin will leave you with nothing but the resin itself because it is solventless. The CO2 is used to freeze off the resin, and then turns directly into gas. Your trim/bud never even gets wet! 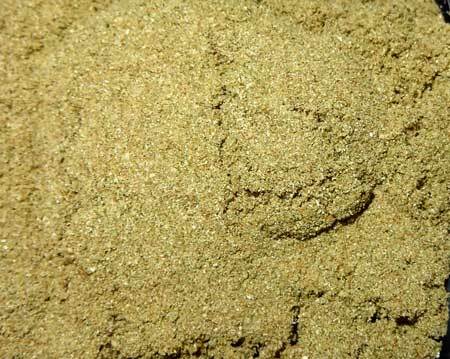 So you can make hash using this method without any additional concern other than careful handling and usage of the dry ice. Although not all hash is the same, many types of hash are pretty darn close. 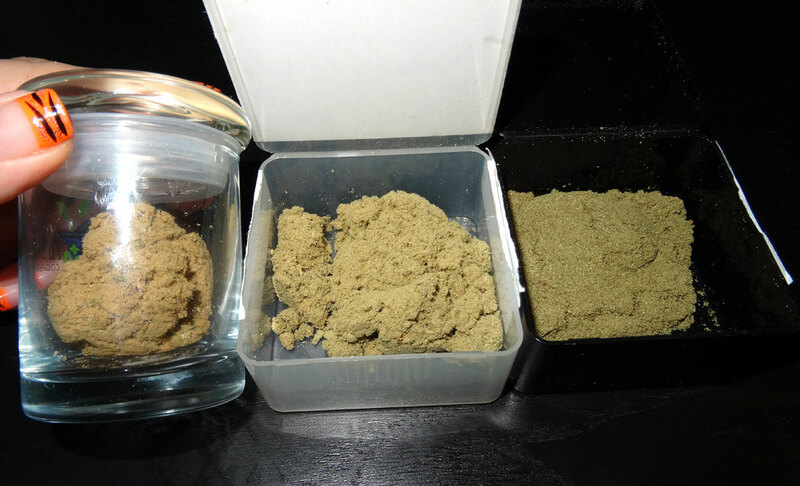 Water hash – also called ice hash, bubble hash, gravity(Gumby) hash, and dry ice hash all produce forms of the same product: isolated resin glands. The difference between methods comes down to how the resin is taken off the plant, and how the hash comes out afterward. In short, preparation makes your hash easier to sell (which we STRONGLY RECOMMEND AGAINST) and easier to use (if you’re somehow reading this 40 years in the past). In other words, it’s completely unnecessary in our case! 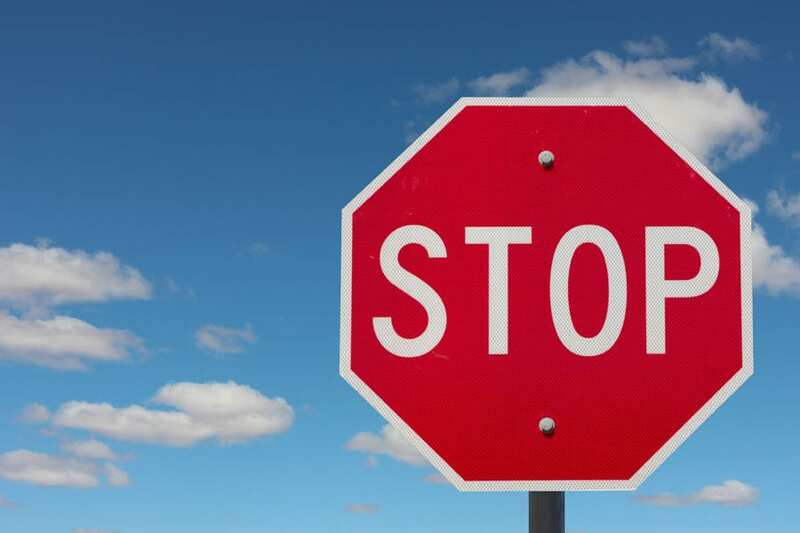 We’ll save time and effort by skipping any post-processing, and there are no real drawbacks! Alright, enough background and quotes, let’s get started! The good stuff – only actual trichomes with no vegetative matter at all! Golden colored and powerfully potent! Not as high quality as 73, but still great and definitely worth collecting! This will have much more plant matter than the other two, but still much less than actual bud. This will smell like a concentrated form of your buds! I personally skip 220, but I would strongly suggest collecting 220 at least once before dismissing it, to see if it works for you! The actual instructions are in text and video! Scroll down a little further for the text version. Here’s the result of the above tutorial. The bud was first put through the 73 Micron bubble bag, then the 160 Micron bag, and finally I took what was left and put it through the 220 Micron bag. The 73 and 160 were both good, but in my opinion, the 220 was meh. However, if you put everything through just the 220 Micron bag, you would get basically everything you see below in one batch. If you’re going to do just one extraction, I personally would do the 120 (more pure) or 160 (more yield) Micron bags by themselves. After doing it the first time for testing, I feel like there isn’t a whole lot of benefit to putting the same cannabis through multiple bags unless you were just really trying to maximize yields. I highly recommend doing this same test yourself, to learn about your own tastes! You may need more or less depending on how much bud/trim you use. 3lbs will cover a little to at least 6oz. Click here to go to a page that will let you search for dry ice in your area. You’ll need 3 sizes for this tutorial: 73, 160, 220. These sizes are standard for this type of bag. No latex gloves, you need protection against -109.3°F cold. Snow gloves or BBQ gloves will do the trick. An unused paint scraper works great, but a credit card will do. 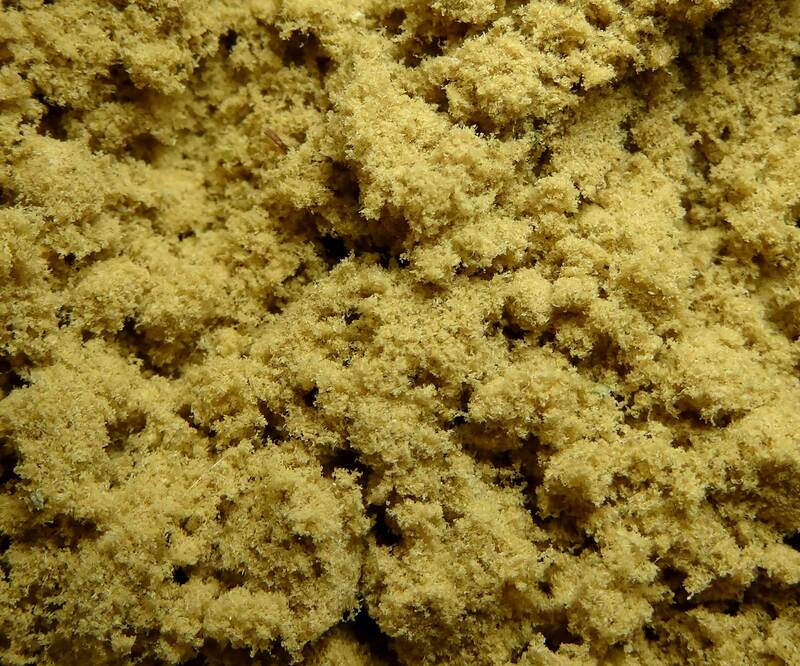 This will collect your hash, so make sure it’s clean! We used a large piece of new plexiglass (cheap at Home Depot) on a table. Dry ice has some inherent risks due to its extremely low temperature and the fact that it sublimates (turns directly into a gas), but it’s actually very safe to use! Just check out these quick safety tips, exercise a little caution, and this will be a smooth and fun experience! Make sure you work in a well-ventilated area. Dry ice turns directly into CO2 gas. Although it’s a small amount of CO2 and doesn’t really pose a threat to you, it’s better to be safe than sorry! Don’t put dry ice in an airtight container. Dry ice turns into gas which will pressurize the container it’s in. Eventually, you’ll get a top shooting off unexpectedly, or worse, an exploding container! Dry ice measures -190.3°F at its warmest. It won’t kill you to grab it, but it’s no fun to get freezer burn either. If you put dry ice down your sink or toilet, you could freeze your water pipes and end up with a massive repair bill. When you’re done with dry ice, just leave it in a well-ventilated area and it’ll simply turn into gas and leave. Basically, you just shake a hash bag full of cannabis + dry ice and piles of resin will start raining out! 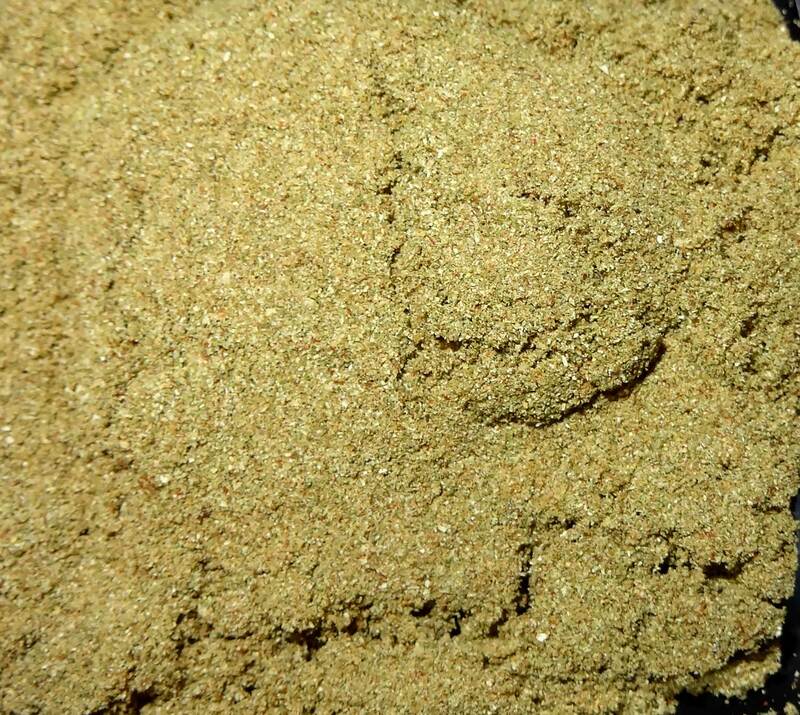 How To Make Dry Ice Hash – GrowWeedEasy.com from Nebula Haze on Vimeo. You’ve got your materials together and you know how to handle dry ice… let’s have some fun! Dump your (ground up) cannabis and dry ice into the 5-gallon bucket. Take the size 73 hash/bubble/pollen bag and fit it over the opening of the bucket, then shake and swirl the bucket around for 3-4 minutes. The process of shaking the cannabis around with dry ice freezes the resin so it starts breaking off from the cannabis and is more easily collected. Turn the bucket upside-down, emptying both the dry ice and cannabis into the hash bag, with the mesh side facing down. Dump the cannabis and dry ice back into the bucket and repeat steps 2-5 with the size 160 pollen bag. Then again with the 220 bag. 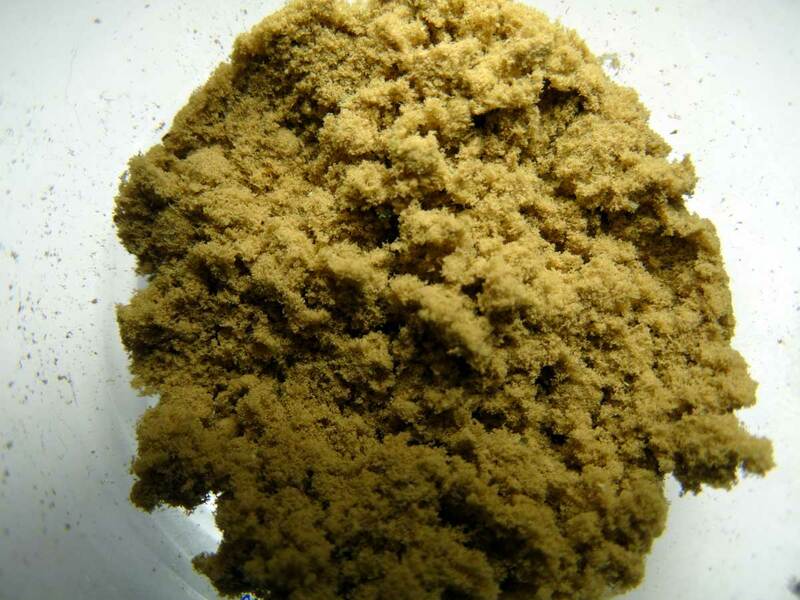 You should now have 3 grades of your own solvent-free, homemade hash: 73 (pure resin), 160 (not as pure but still really good stuff), and 220 (it’s super fragrant and super free!). Enjoy! FYI: Hash can be sprinkled over bud, vaporized, smoked directly with a screen, and mixed into joints. 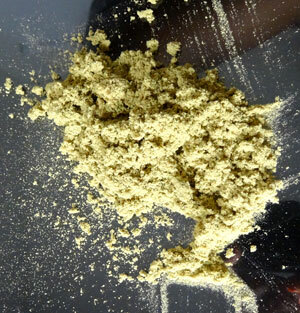 If you’re unfamiliar with hash, starting slowly will help ensure you don’t use too much – this stuff is powerful! Make Your Own Cannabis Capsules (Canna Caps)!